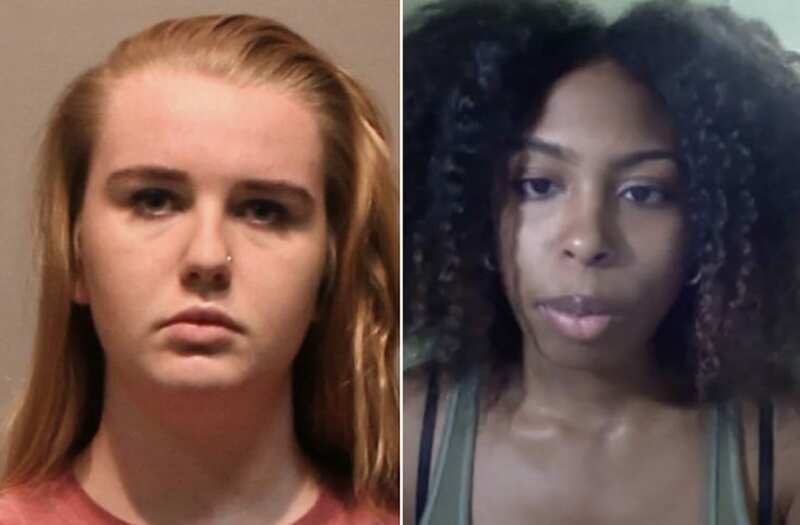 A white freshman at the University of Hartford is facing charges of criminal mischief and will not be returning to school after bragging about contaminating her black roommate's living space in efforts to drive her from the room. University of Hartford President Greg Woodward announced Brianna Rae Brochu, 18, was "no longer a student" after she was arrested Saturday for charges regarding an Instagram post in which she boasted about achieving her long-held goal to get rid of her dorm roommate, Chennel "Jazzy" Rowe, who she called "Jamaican Barbie." “After one and a half months spitting in her coconut oil, putting moldy clam dip in her lotions, rubbing used tampons on her backpack, putting her toothbrush places where the sun doesn’t shine, and so much more, I can finally say goodbye to Jamaican Barbie,” Brochu wrote in the post. Rowe, who is also a freshman at the Connecticut university, told Fox 61 she had a bad feeling about her roommate the moment she moved in. “I kind of felt unwanted and she was giving off vibes,” Rowe told the local outlet. It wasn't until Rowe finally moved out weeks later on Oct. 17, that she became aware of her roommate's disturbing sabotage. “She asked me if I was moving out and I simply said ‘Yup,’ and she made a face and said ‘OK,’ and then I saw her pick up her phone and automatically start texting,” Rowe said. According to authorities, however, Brochu was actually boasting online then about successfully ridding herself of her roommate. After learning of the post, Rowe reported Brochu to campus security and later took to Facebook with an hour-long video discussing her experiences with Brochu, which social media users have helped spread to attract more national attention to the story with the viral #justiceforjazzy hashtag. In the video, Rowe said she had been experiencing recurring throat pain and sickness while rooming with Brochu. She said her doctors prescribed her with antibiotics to take care of "some type of bad bacteria" in her throat that had been causing her pain. She described Brochu as a "ghost," detailing her as a distant and rude roommate. And though her roommate had already been charged by the time Rowe uploaded the video on Facebook earlier this week, she said she posted the video partly because she was frustrated with the amount of time it took for Brochu to be punished. Rowe said she believed race had been a factor in the school's seemingly delayed response, given the weeks in between her initial report and Brochu's charges. “If the race roles were reversed, I feel like this would have gone down a different route,” Rowe said. The university president, Greg Woodward, said in a statement online Tuesday that Brochu's behavior was "reprehensible," while adding that he was confident the institution pursued the issue seriously.